365 Fashion and Lifestyle: SKIN. THE LUXE FACTOR. Ferragamo is back in the business. 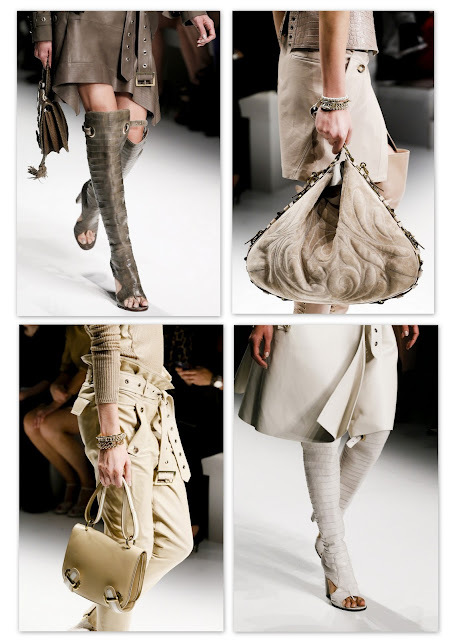 Who can say no to those fabulous peep-toe leather boots and ultra-luxurious bags and pants. Add to those a metalic sweater and you've got yourself a fast killing outfit. So, still thinking about Hermes?